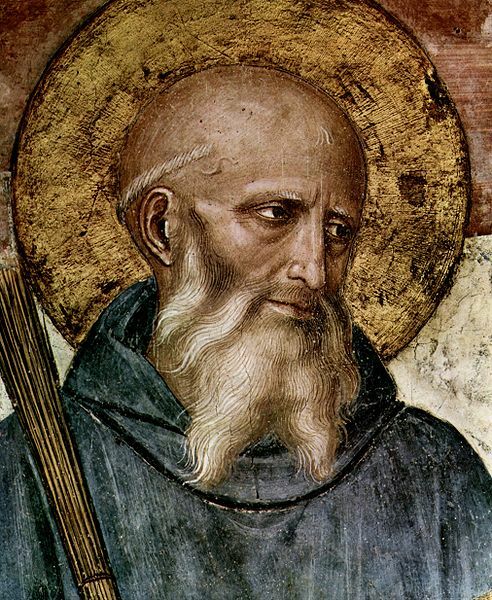 ST. BENEDICT, blessed by grace and in name, was born of a noble Italian family about 480. When a boy he was sent to Rome, and there placed in the public schools. Frightened by the licentiousness of the Roman youth, he fled to the desert mountains of Subiaco, and was directed by the Holy Spirit into a cave, deep, craggy, and almost inaccessible. He lived there for three years, unknown to any one save the holy monk Romanus, who clothed him with the monastic habit and brought him food. But the fame of his sanctity soon gathered disciples round him. The rigor of his rule, however, drew on him the hatred of some of the monks, and one of them mixed poison with the abbot’s drink; but when the Saint made the sign of the cross on the poisoned bowl, it broke and fell in pieces to the ground. After he had built twelve monasteries at Subiaco, he removed to Monte Casino, where he founded his famous abbey. There he wrote his rule and lived until death. 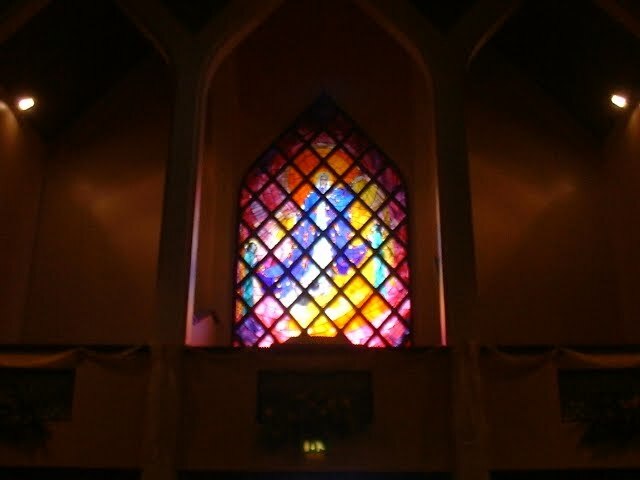 By prayer he did all things: wrought miracles, saw visions, and prophesied. A peasant, whose boy had just died, ran in anguish to St. Benedict, crying out, “Give me back my son!” The monks joined the poor man in his entreaties; but the Saint replied, “Such miracles are not for us to work, but for the blessed apostles. Why will you lay upon me a burden which my weakness cannot bear? ” Moved at length by compassion he knelt down and, prostrating himself upon the body of the child, prayed earnestly. Then rising, he cried out, “Behold not, O Lord, my sins, but the faith of this man, who desireth the life of his son, and restore to the body that soul which Thou hast taken away.” Hardly had he spoken when the child’s body began to tremble, and taking it by the hand he restored it alive to its father. Six days before his death he ordered his grave to be opened, and fell ill of a fever. On the sixth day he requested to be borne into the chapel, and, having received the body and blood of Christ, with hands uplifted, and leaning on one of his disciples, he calmly expired in prayer on the 21st of March, 543. As I wrote two years ago,(as florin)- I am so happy that Catholic Lane mentions St. Benedict on his feast day. I was living in Italy and trying to decide whether or not to go to Monte Cassino for the celebration of this feast when the phone rang and the then Abbot Bernardo told me he would like me to be there so I went with an Italian Priest friend, Don Lucio, and it was magnificent. The Liturgy was beautiful, the Mass sung in Latin, Gregorian Chant. Afterwards, I met so many wonderful people and I must mention that they have an excellent cook so the meal was delicious and the guests exhuberant…viva San Benedetto!!! And I am remembering to pray for our beloved Pope emeritus Benedict on this day…he has a tremendous devotion to Saint Benedict and will soon be meeting with our Pope Francis…this meeting on Saturday between “Francis and Benedict” should be very fruitful for the Church and for the Body of Christ. May it be so!